Cricket action between Sarafui and Moce at Albert Park on February 9, 2019. Photo: Ronald Kumar. 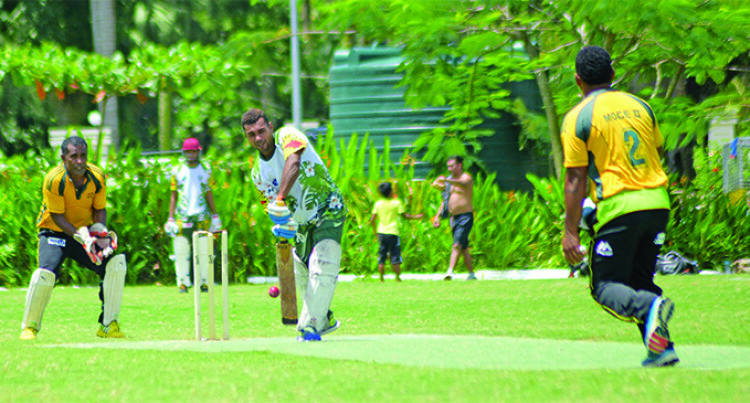 Ranked second on the points table, the Police cricket team beat Nasaqalau by 7 wickets during the Suva Cricket League competition at Albert Park yester­day. Association secretary Nishantha Fernando confirmed that the level of competition has improved as teams’ battle to qualify for the top eight positions. “It was a great week of competi­tion and teams are now being more competitive and stepping up with their performance,” Fernando said. Fernando said the quarterfinals will start on March 2 with the final and award ceremony set for March 30. Oneata beat Komo by default; Lakeba beat BSP Titans by 8 wick­ets; Suva Grammar School Old Scholars beat Ono by default; Moce beat Sarafui by 188 runs; Police beat Nasaqalu by 7 wickets; VICC beat Komo by default.